Many among us would probably have never seen a dolphin in real life. After all these delightful creatures exist in a world of water that sometimes requires us to go to great lengths and not to mention dangers to explore. Some of us could have seen these delightful creatures in captivity. The rest of us could have seen pictures, movies and television shows that show dolphins. 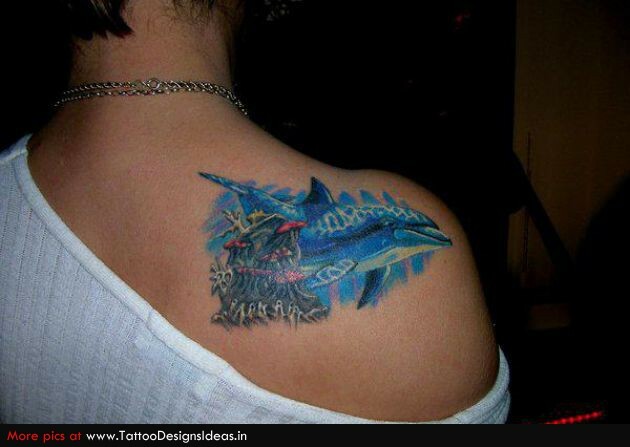 Here are some great Dolphin Tattoo Design Ideas For Women. It does not matter where you saw the dolphin or through what media, we can all agree that a dolphin will make you smile with joy. They are intelligent, human-friendly, good natured and very amusing to watch. Dolphin is one creature that seems to actually grin with delight. They make living in the hazardous seas look easy and fun. This does not mean they are careless, they are not. In fact they are very particular about the safety of all the members in their pod. 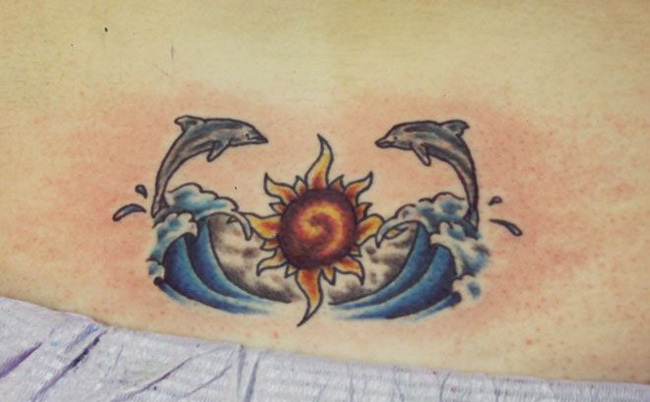 In the tattoo world, dolphins are ranked pretty high not only due to the fact that they are a delight to look at but also because they carry a lot of symbolism. Essentially considered to have many feminine qualities, many cultures around the world place a lot of importance and reverence to these creatures. They are supposed to have a higher level of behavior than other creatures which tend to be more on the primitive side. In fact these creatures go out of the way to save lives and protect humans when they needed help. This has led to a lot of importance given to these creatures among those cultures that live by the sea. Among the Celts it is considered to bring peace to your mind when you enter waters that have dolphins in them. 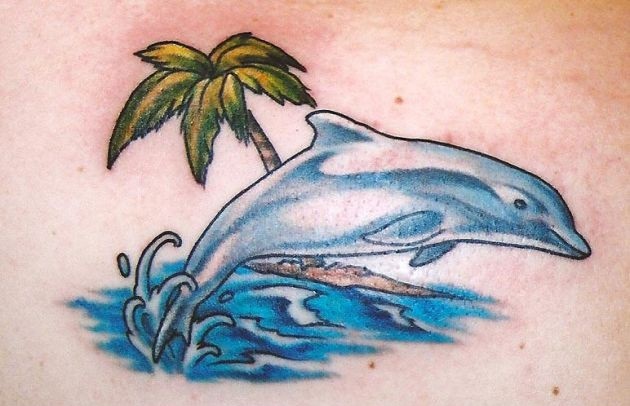 The dolphin tattoo represents prosperity, that apart it also represents a guiding force for change. The person getting a dolphin tattoo would do so to show that he or she has gone through something life changing or to show that they are about to make the change. 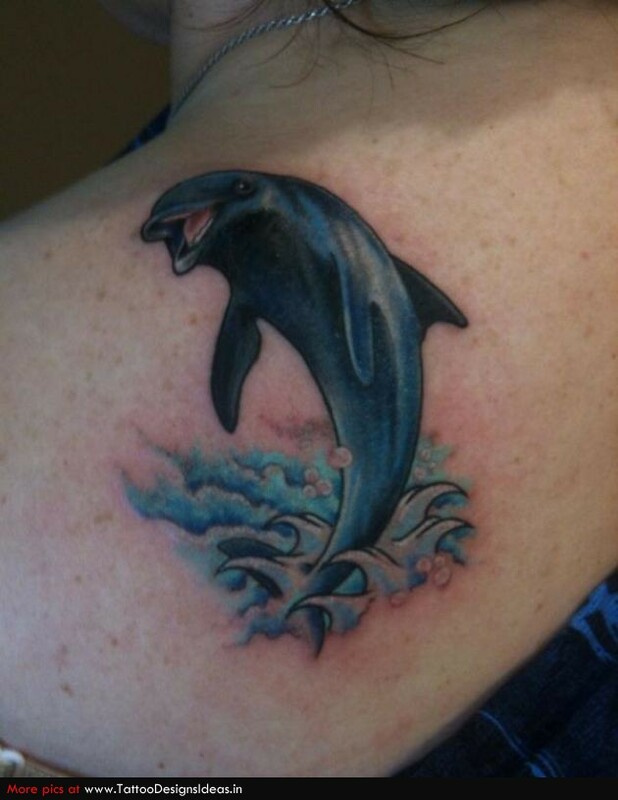 A dolphin tattoo denotes fun, excitement and the need for adventure in life.